04 Oct 2018 --- Despite obesity and the overconsumption of processed foods having become pertinent problems around the globe, large populations still suffer from micronutrient deficiency. 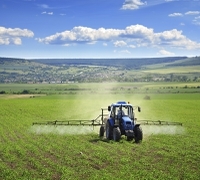 To address this pressing problem, the biofortification of crops is being put forward by industry and intergovernmental agencies such as the UN FAO as a viable and cost-effectiveness strategy. In this space, USDA agricultural researchers are now seeking to enhance the minerals of wheat flours to help people around the world get more iron. Biofortification is the process of conventionally breeding food crops that are rich in micronutrients, such as vitamin A, zinc and iron. Unlike the more conventional form of food fortification, which might add micronutrients directly to food products, the goal of biofortification is to ensure that the crops used to create the food products contain higher levels of micronutrients. One advantage biofortification has over “regular” fortification is that formulators will not need to add any additional ingredients to products, allowing for shorter and clearer labeling. The industry has taken note of the potential biofortification holds for the improvement of public health and micronutrient intake. 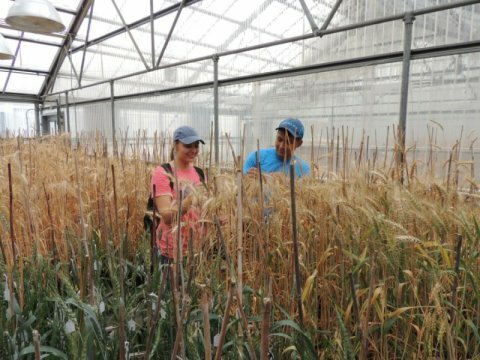 In the US, Graybosch and his team have developed experimental breeding lines of winter wheat. The team tried to combine two properties – low phytate and high grain protein – without lowering grain yield. Phytate is an “antinutrient” that prevents the body from taking in some minerals. Their results show that combining the two traits without any bad effects on grain yield is possible. It increased the amount of zinc, calcium, and manganese humans could get from it. In India, the consumption of iron-biofortified pearl millet has been found to significantly improve cognitive abilities adolescents, according to a study published in the Journal of Nutrition. Manufactured by HarvestPlus, the biofortified pearl millet used in the study was found to cause an improvement in attention and memory, potentially benefiting the adolescents by increasing social mobility through improved academic and professional performance. “When eaten, biofortified crops can provide essential micronutrients to improve nutrition and public health. Biofortification was developed to target rural farming families with limited access to healthier foods or other interventions such as fortification and supplementation. It is a food-based approach that improves the nutrient value of the staple foods these families often depend on. It complements these other efforts,” Dr. Erick Boy, HarvestPlus’ Head of Nutrition, tells NutritionInsight. Biofortification is also being applied to target consumers experiencing the digestive issues associated with gluten sensitivity. Arcadia Biosciences, an agricultural food ingredient company, this year announced the addition of its new reduced gluten (RG) wheat lines to its GoodWheat portfolio of branded ingredients. Despite its potential to prevent micronutrient deficiencies and allow for nutrient-rich crops, the biofortification of crops comes with a set of challenges. In many cases, increasing the nutrition can cause the overall grain yield to drop, potentially hurting farmers' profits. Moreover, crops grown in a specific area need to be adapted to that area, making farmer adoption of biofortified crops a crucial bottleneck. “Great Plains wheats do well in the Great Plains, but not elsewhere. If the trait is of interest in other locations, additional breeders need to start introducing it to their own backgrounds,” Graybosch explains. Moreover, the technical challenges and timeline involved in researching and creating biofortified crops are significant. “It takes several years to identify those genes, then breed out the mutations you don’t want, and then you breed the desired traits into a commercial line. It does take five to seven from discovery to commercialization,” he continues. Further research and governmental support to ensure farmer adoption of biofortified crops are warranted. Considering the potential biofortification holds for tackling micronutrient deficiencies, industry experts are in agreeance that biofortification should be a core activity of agricultural research centers across the globe.